Jennifer graduated from La Trobe University Bendigo and has worked in various regional/rural towns such as Mildura, Bendigo, Melton, Geelong and Albury/Wodonga. Jennifer aims to make the dental visit a pleasant and comfortable one for all patients – children and adults. Jennifer believes in educating patients about dental health and hygiene to best prevent disease from occurring or recurring as well as tailoring treatment to each person’s individual needs. Jennifer is looking forward to continuing our school and kinder visits with a focus on delivering important oral health information including trauma management. 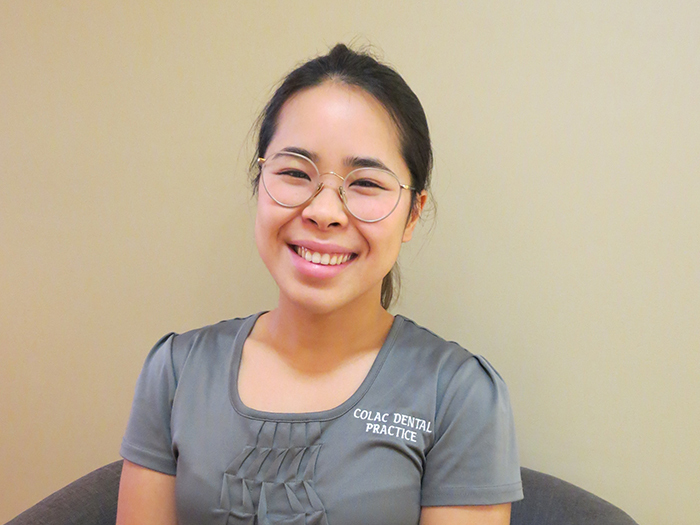 Outside of dentistry, Jennifer enjoys running, playing sports, hiking, and reading. She also likes to learn new hobbies and skills such as knitting/crochet. Jennifer lives in Colac and enjoyed the local Falls festival in 2017. She looks forward to experiencing the hiking in our beautiful Otways.